A criminal mischief spree in late November reportedly caused more than $30,000 in damage to numerous homes, businesses and vehicles in Jamestown. A city man and three male youths are now facing a host of felonies following an investigation by the Jamestown Police Department. On Thursday, police announced the arrest of 21-year-old Kyle J. Seekings in addition to the charges against the three male juveniles. 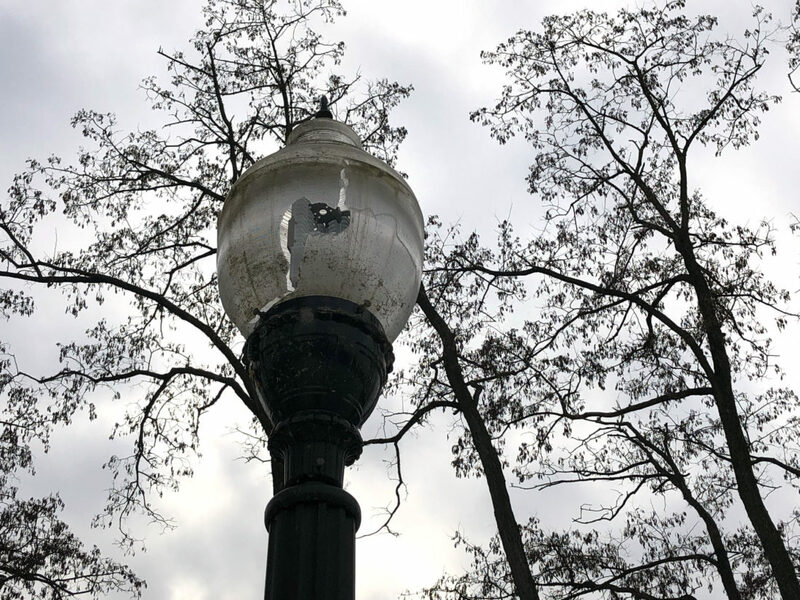 The charges are the result of criminal mischief complaints from Nov. 21 to Nov. 26 after damage was reported along First Street and the Riverwalk. According to Jamestown Police Chief Harry Snellings, the four males were responsible for breaking windows to numerous businesses, homes and vehicles, as well as damaging lighting fixtures along the Riverwalk and behind the National Comedy Center. Several vehicles also sustained body damage. “The damage was extensive and affected many members of our community,” Snellings told The Post-Journal. Video surveillance was secured from some of the businesses along First Street. Snellings said the video aided investigators in identifying and charging Seekings and the three youths. All told, police estimate the damage at more than $30,000. Seekings was charged with six counts of felony second-degree criminal mischief and seven counts of felony third-degree criminal mischief. He was awaiting arraignment in Jamestown City Court. The three juveniles will be petitioned to family court. The charges come a day after JPD announced that two stolen guns– an AR-15 rifle and a loaded handgun — had been recovered after several vehicle larcenies on the city’s northside. Charges were pending against two male youths in those thefts after one of them attempted to use a stolen credit card at a local convenience store. Police obtained surveillance video from the store, and from there investigators were able to identify the pair.